Budapest in One Day - Where to Go and What to See? Home Hungary Budapest in One Day – Where to Go and What to See? By the time we arrived in Budapest on New Year’s Eve, we were reflecting on an amazing journey through some of Europe’s finest cities. Could it get any better? After visiting the Hungarian capital, we can well and truly attest that yes, of course it could! 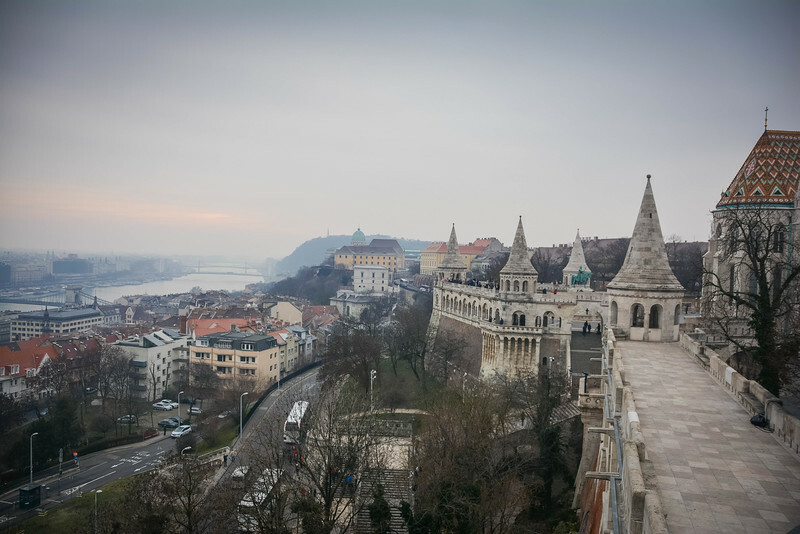 Budapest in one day was going to be yet another ambitious experience but exploring such a historical and culturally diverse city was going to be an exciting adventure that we were ready for. 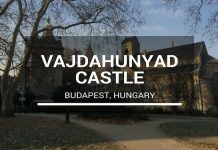 If you plan on visiting Budapest in the near future, hopefully this guide will help point you in the right direction, especially if you only have limited time. We spent New Year’s Eve at the Hilton Budapest City which is a great location for exploring many of the city’s leading attractions. New Year’s Day is a great time to get out and take a stroll because most people are either recovering from the night before or opt against heading out in the freezing cold Hungarian weather. 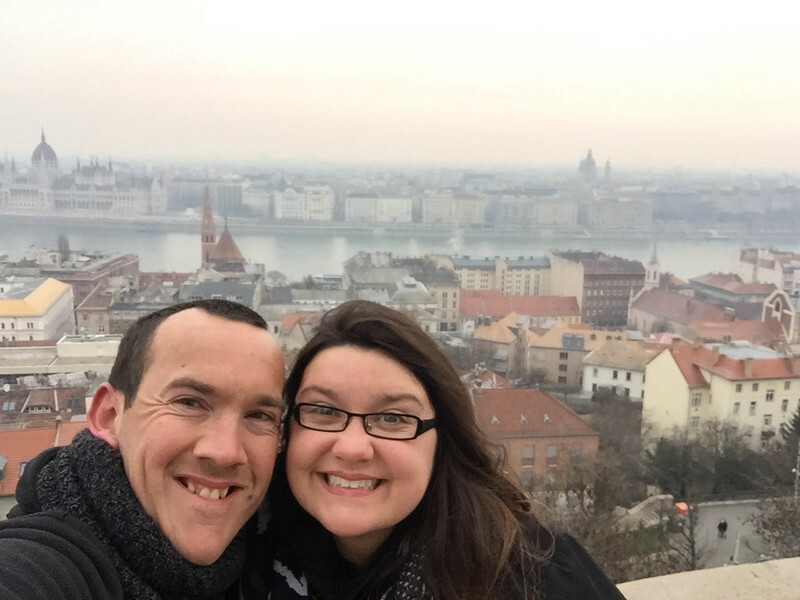 For hardy folks like Heather and I, we were not going to let the frigid temperatures prevent us from experiencing Budapest. 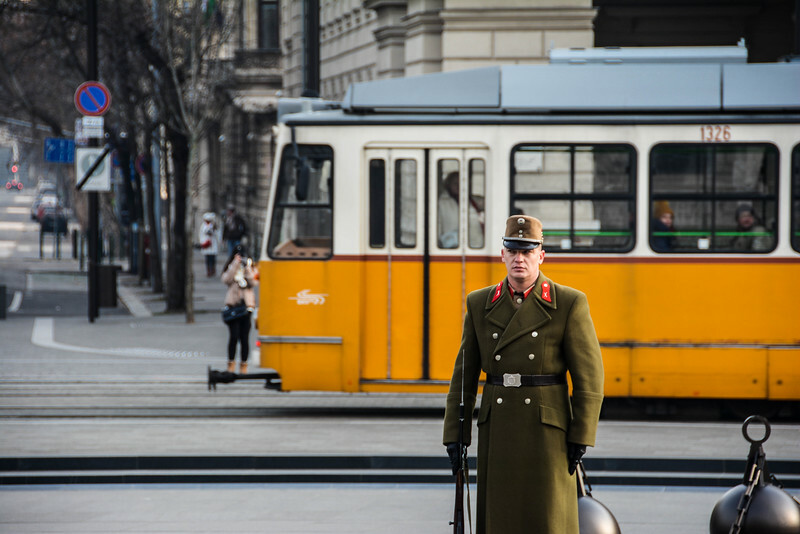 But if you have an itinerary in mind with a myriad of attractions that you just have to see in your short time in Budapest, the best way to get around is to use the metro system. 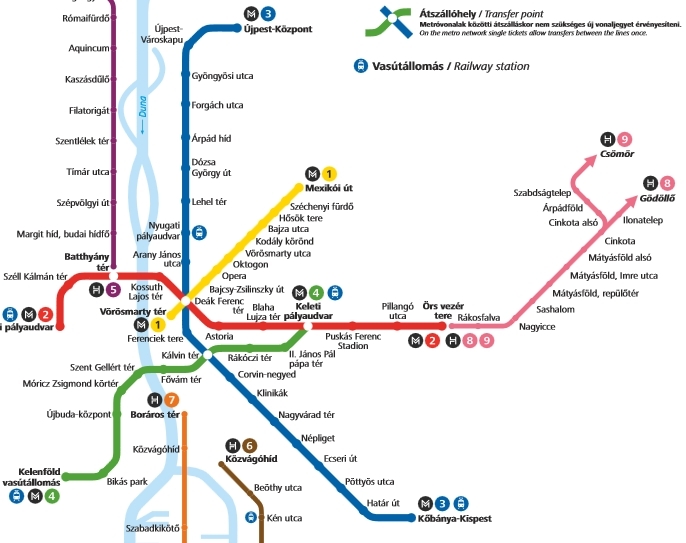 I have read a couple of articles since we returned home regarding the Budapest public transportation system and for the most part, they are not particularly positive. However, I want to emphasize our experiences and everything about it was great. Here is a quick rundown on how it works. PURCHASE TICKETS – Purchase a ticket at one of the ticket machines at the station. A single ticket (as of February 2016) costs 350 Hungarian Forint which is equivalent to just over $1.20. A better value is a pack of 10 tickets for 3,000 HUF or a daily 24-hour travel card for 1,650 HUF. ***IMPORTANT*** VALIDATE TICKETS – The most crucial step after purchasing your ticket(s) is to ensure they are validated prior to boarding the metro. How do you do this? Simple! Be sure to validate your ticket using the orange or red ticket-punching machines as ticket controllers may ask to see your ticket, and will fine you for having an invalid one. METRO MAP – Check the map and ensure you know which station you are leaving at! It’s actually a pretty simple system, far easier than London’s or New York’s subway system but with the language barriers it may take a few glances to confirm where you should be leaving. 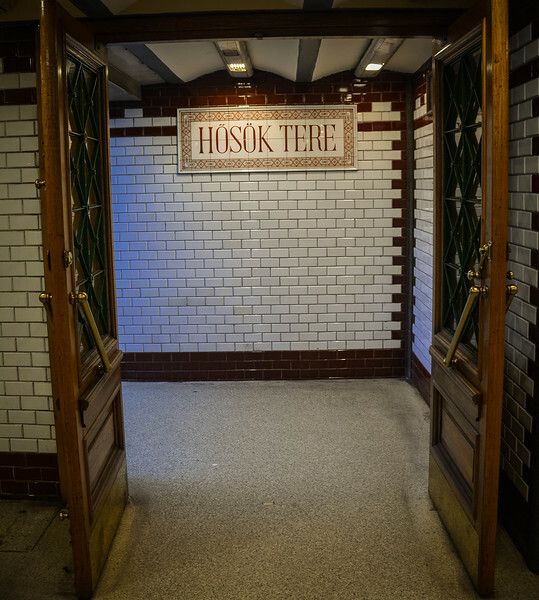 So…once you have the metro system down, you are ready to head out and explore Budapest’s finest landmarks, historical attractions and of course perhaps sampling some local goulash or typical Hungarian dish. Let’s take a look at some of Budapest’s impressive attractions. 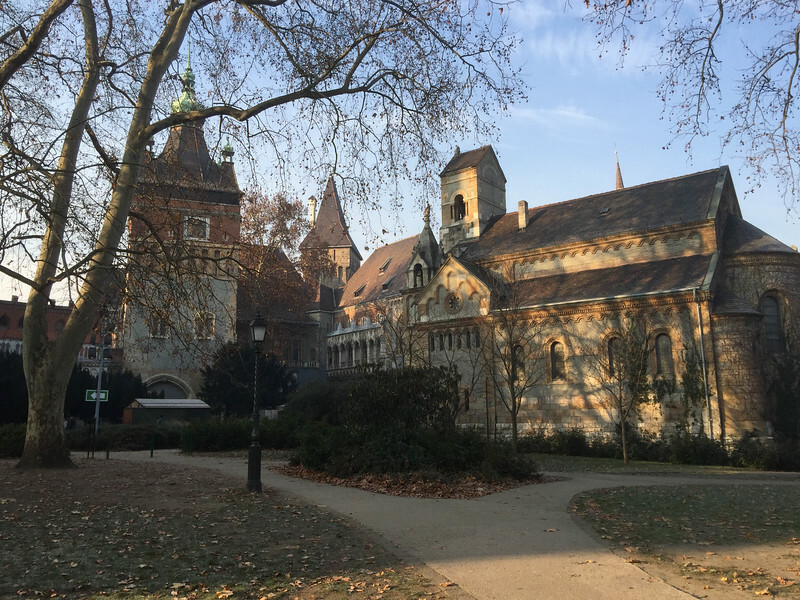 Our time in Budapest started with an early morning trip to City Park which is outside of the main tourist spot but offers an opportunity to explore the beautiful Vajdahunyad Castle. 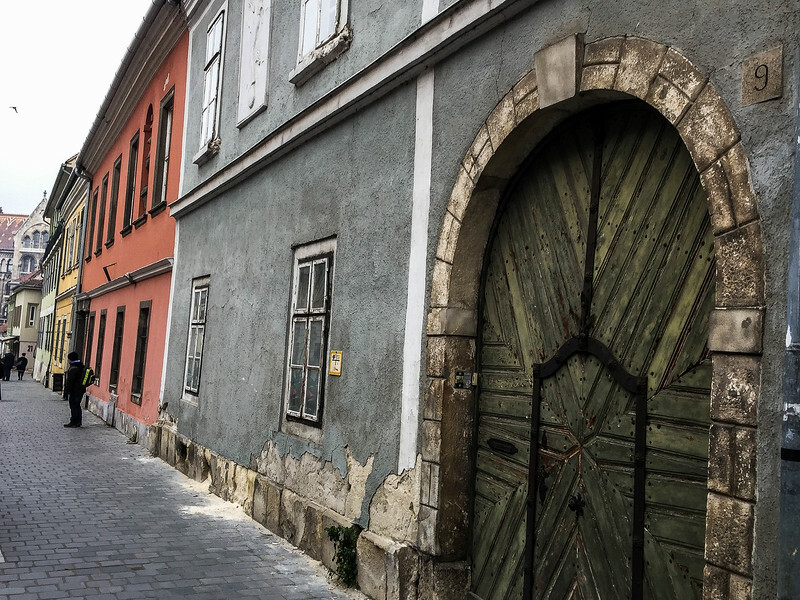 Renowned as one of the ‘romantic’ castles in Hungary, this stunning piece of architecture was introduced to us a couple of years ago when one of our travel blogging friends sent us a picture of this. We just had to see this for ourselves! The castle looks much older than it actually is. 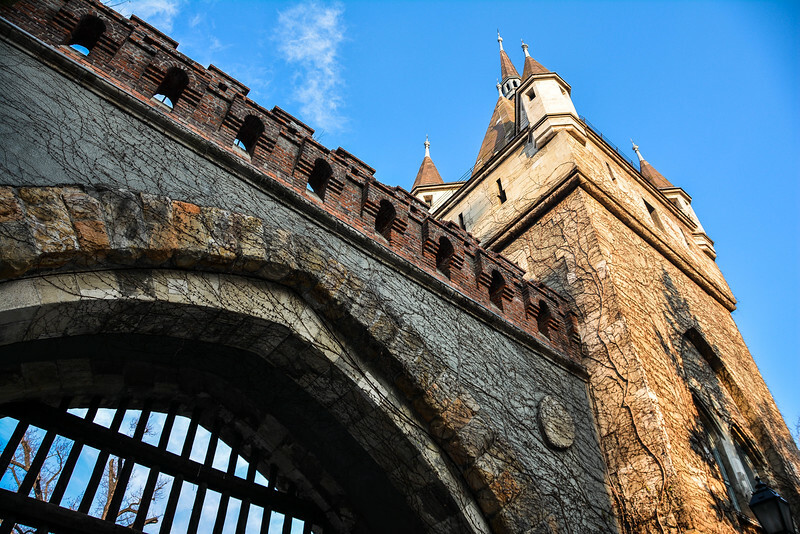 Dating back to 1908 when construction started, Vajdahunyad Castle has a real medieval and gothic feel to it. When you hear that this castle was inspired by a Transylvanian gothic castle, it’s really not surprising. This castle is actually an enclave of buildings rather than your stereotypical one standing structure. The variety of architectural styles are what makes this castle so appealing and probably the reason why I was so excited to explore this park. As we walked around the grounds outside by the frozen boating lake and skating rink, we passed by a number of locals selling magnets (this is a great spot to purchase a souvenir as you can help out the locals and also not pay the typical prices of tourist traps!) and other mementos. We quickly headed to the entrance and immediately noticed the gothic inspired feel. But as our journey through the iconic gate and inside the castle grounds continued, we noticed the different blends of architecture. 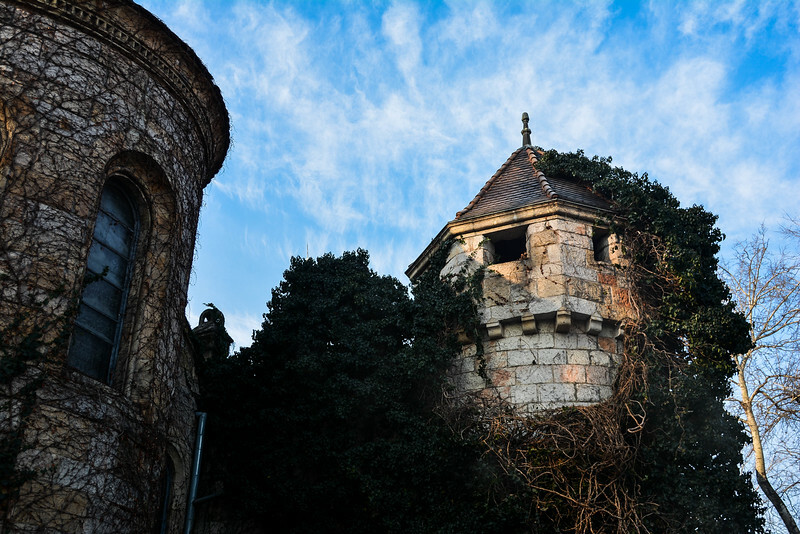 From Renaissance to Baroque and even a hint of Romanesque style are visible in and around the castle. 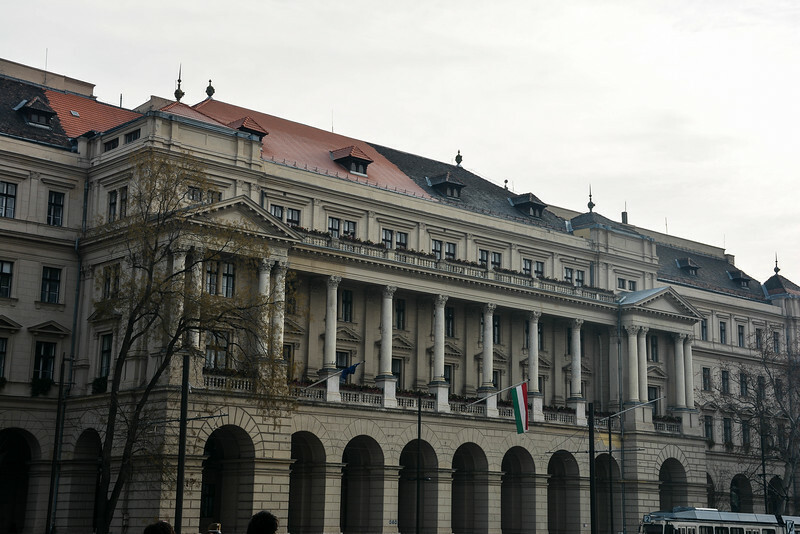 This was an intentional design to represent the various eras in Hungarian history. 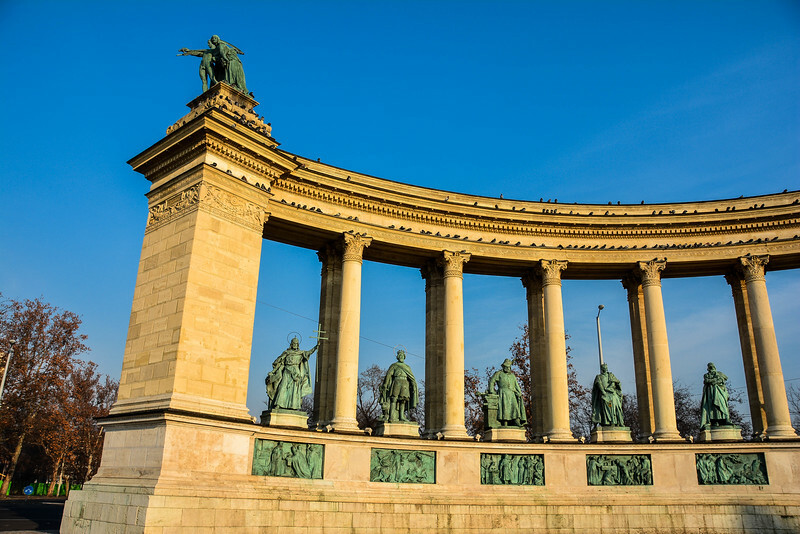 Outside of City Park is the gorgeous Heroes Square which is one of Budapest’s top attractions. 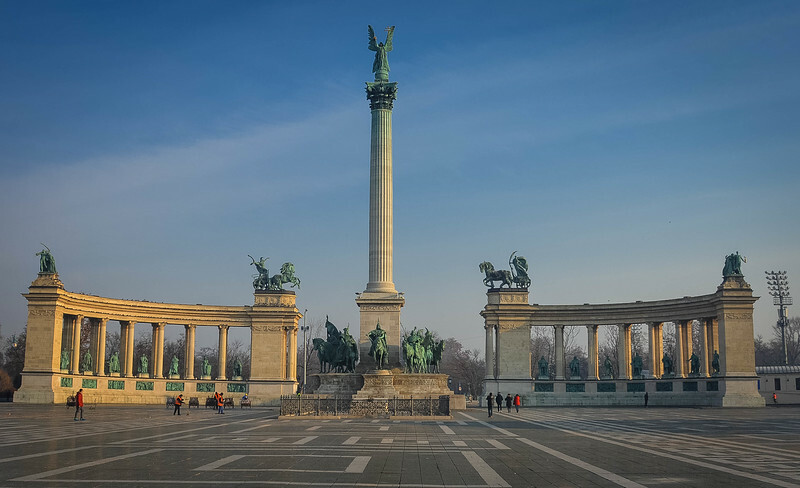 The towering Millennium Monument is the focal point in this square but this is certainly one of the most popular spots in Budapest for special events and celebrations. 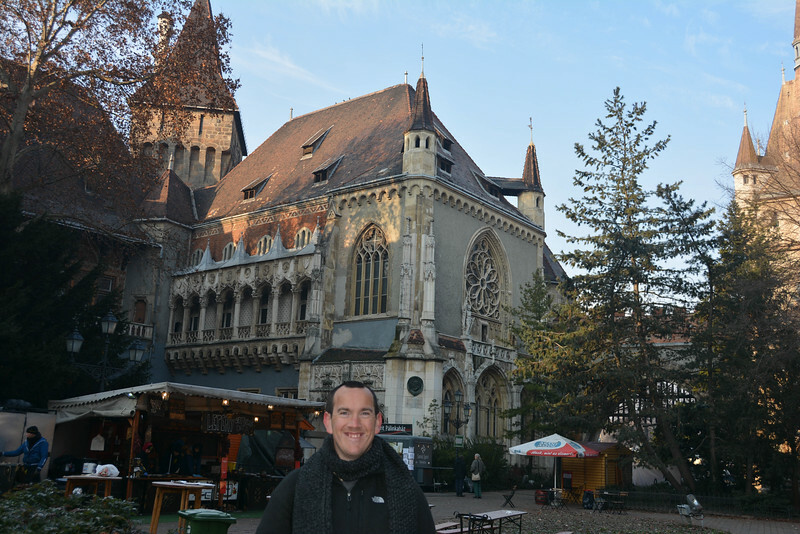 If you plan on visiting here, it’s a no-brainer to keep walking to explore City Park and Vajdahunyad Castle. 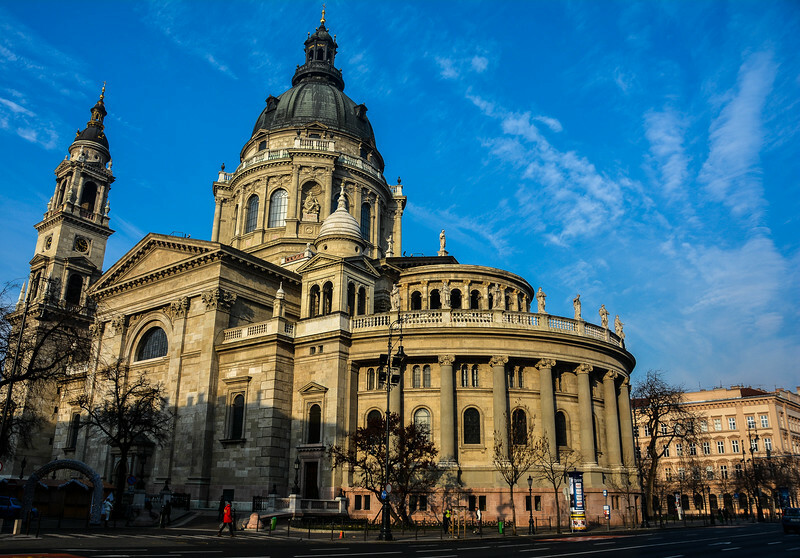 We hopped back on the metro and headed back to the heart of Budapest to our next stop to check out St. Stephen’s Basilica. 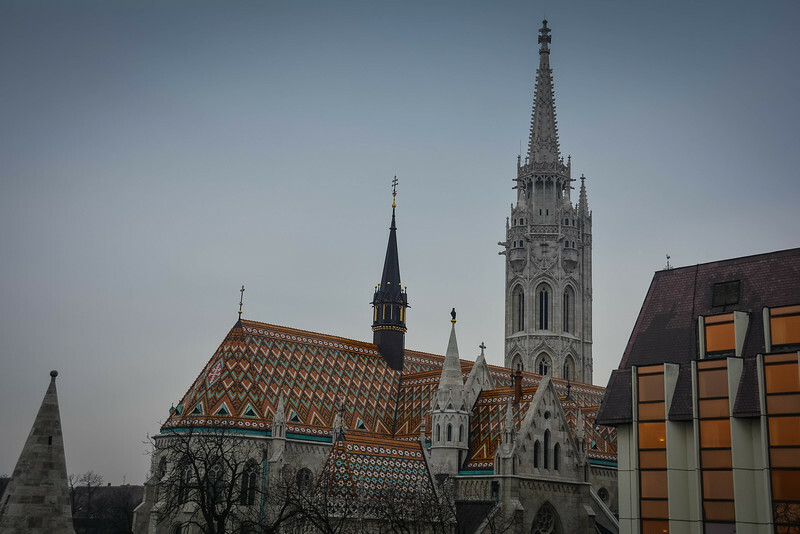 This beautiful church is the largest in Budapest and dates back to the original construction that started in the mid-19th century. The iconic dome you see today is not the original, as in 1868 this actually collapsed causing a real delay in the completion of this basilica. 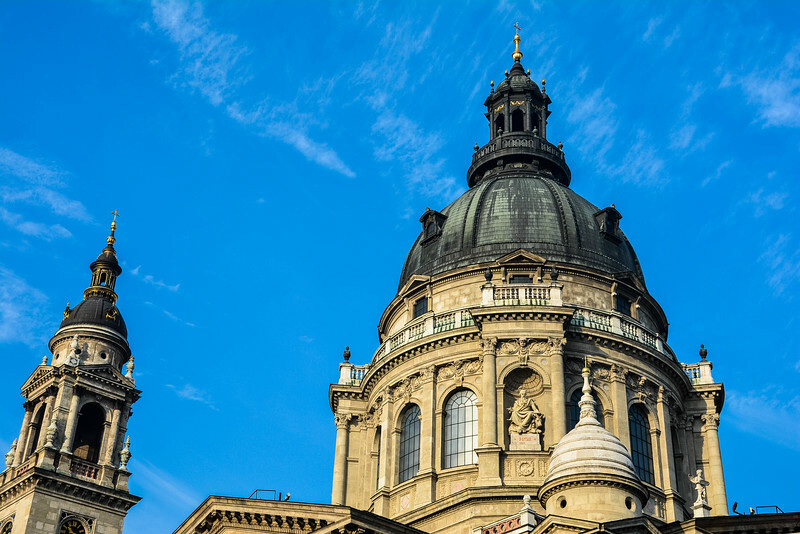 The panoramic views of Budapest from the top of the dome make this an attractive landmark to explore, but of course on New Year’s Day this was closed so we had to be content with exterior views of St. Stephen’s Basilica. An interesting feature of the dome is that standing at 96 meters, it is the exact same height as the Hungarian Parliament building that we later discovered on our tour of the city. A short walk from St. Stephen’s Basilica lead us to the banks of the Danube and the impressive sight of the historic Chain Bridge. 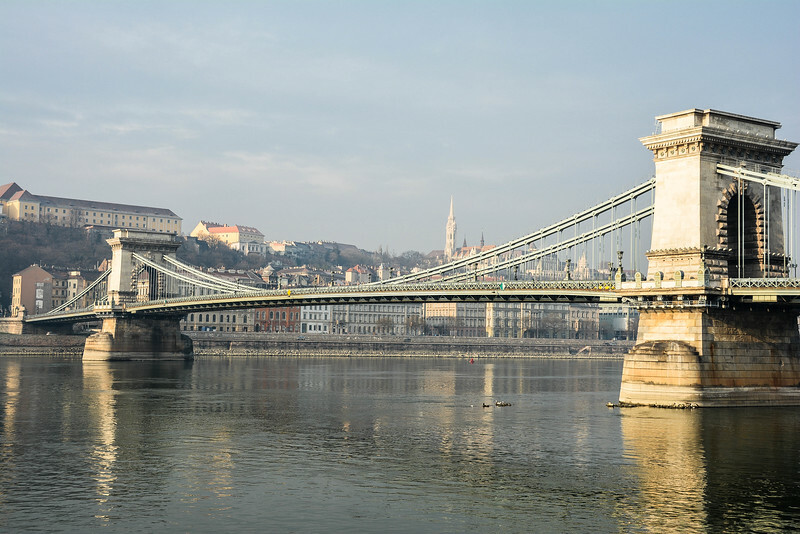 The Chain Bridge is a suspension bridge that spans the River Danube between ‘Buda’ and ‘Pest’. The proposal to construct this bridge was made by Count István Széchenyi and dates back to 1839. 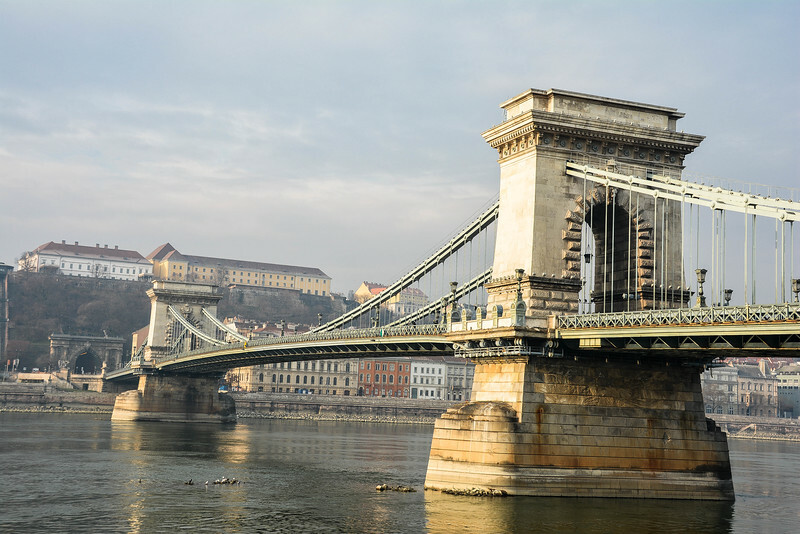 Széchenyi was a leading Hungarian figure during the 18th century, and today the Chain Bridge is named after him. Traffic moves across this bridge in two lanes but perhaps the best way to cross the Danube is to walk on the pavement across the 380 meters stretching the river. The stunning landscapes looking back across Budapest with the Hungarian Parliament standing out is a sight to behold and certainly one you will appreciate. 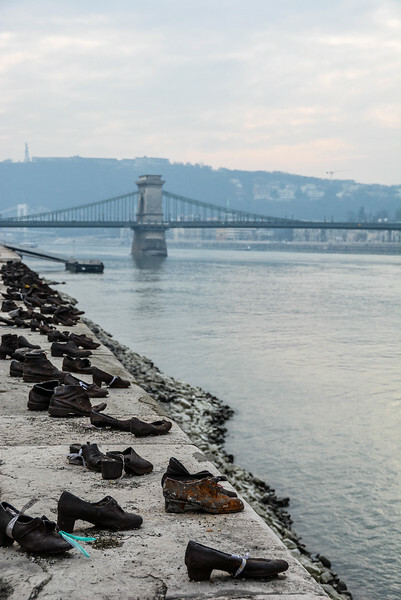 One of the most moving and emotional landmarks in Budapest (and possibly throughout Europe) is the iconic Shoes on the Danube Bank memorial. 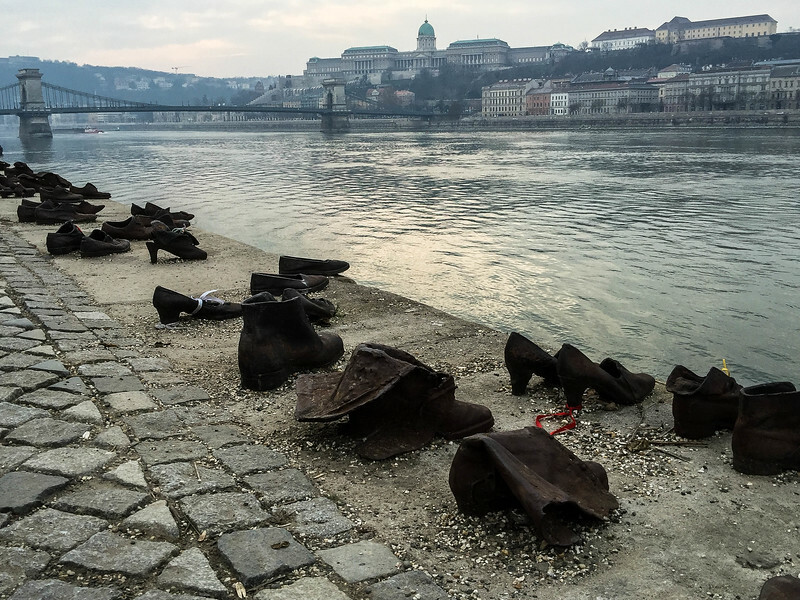 We took the short walk from the Chain Bridge along the banks of the Danube before arriving at the location where sixty pairs of iron shoes lay overlooking the Danube. The story behind these is what makes this such a chilling and emotional landmark. 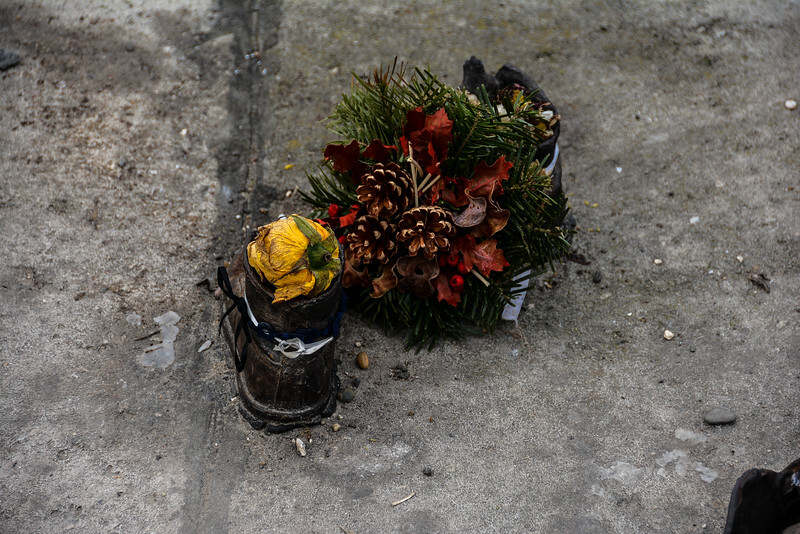 The memorial was placed here to honor the Jews who were killed by fascist militia during the Second World War. 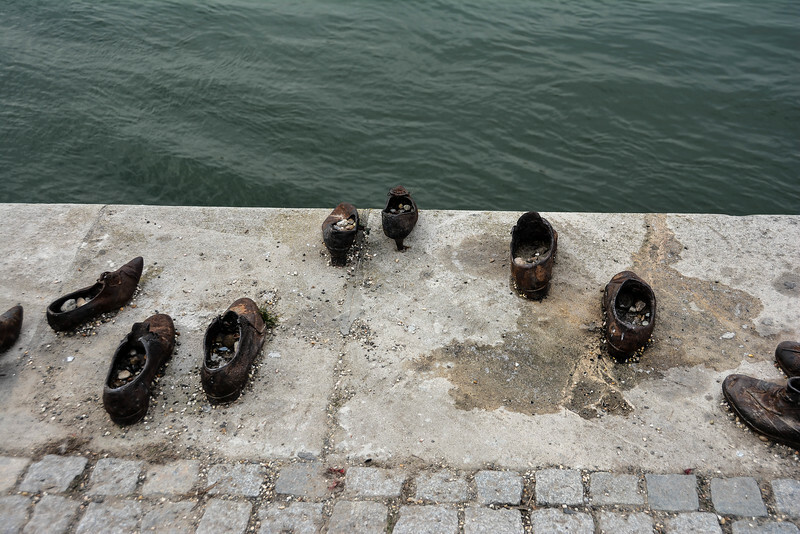 These Jewish individuals were forced to stand on the edge of the Danube, take off their shoes and then shot before falling into the river, leaving their shoes behind on the bank. The various sizes of shoes represent the different individuals that were killed. No one was spared their lives during this tragic event and whether you were an aspiring child, local businessman or an elderly couple…well the suffering is apparent as we stand at this memorial today and remember this awful story. To the memory of the victims shot into the Danube by Arrow Cross militiamen in 1944–45. 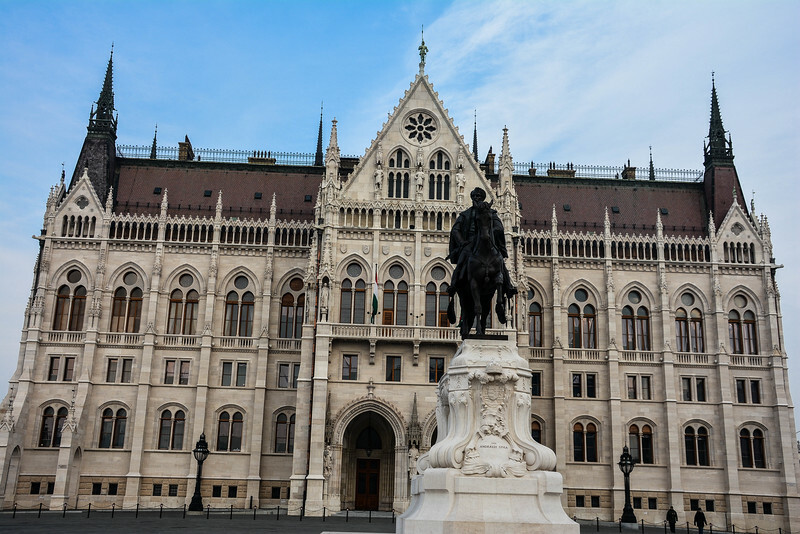 One of the most spectacular buildings in Europe is the Hungarian Parliament. It is the world’s third largest parliament building and dates back over a hundred years to 1902 when construction was completed. 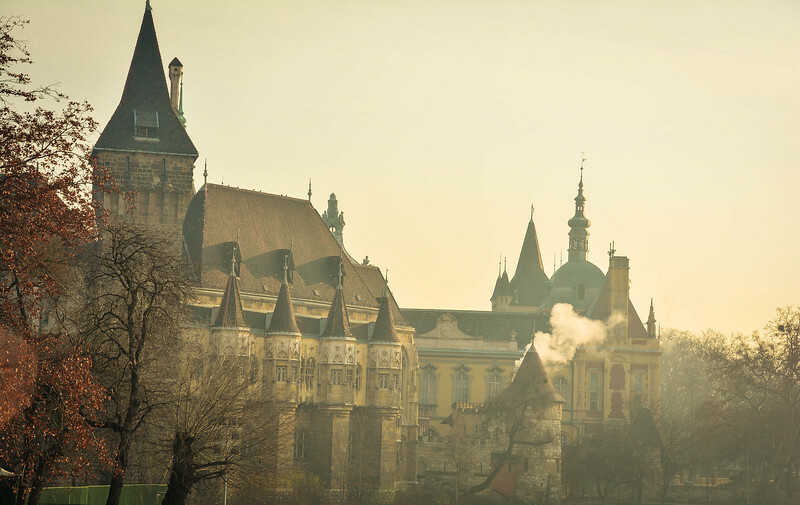 It is a typical example of Neo-Gothic architecture and is one of the highly sought after tourist landmarks in Budapest. We spent quite a bit of time marveling over this beautiful building and walking around the Lajos Kossuth Square. 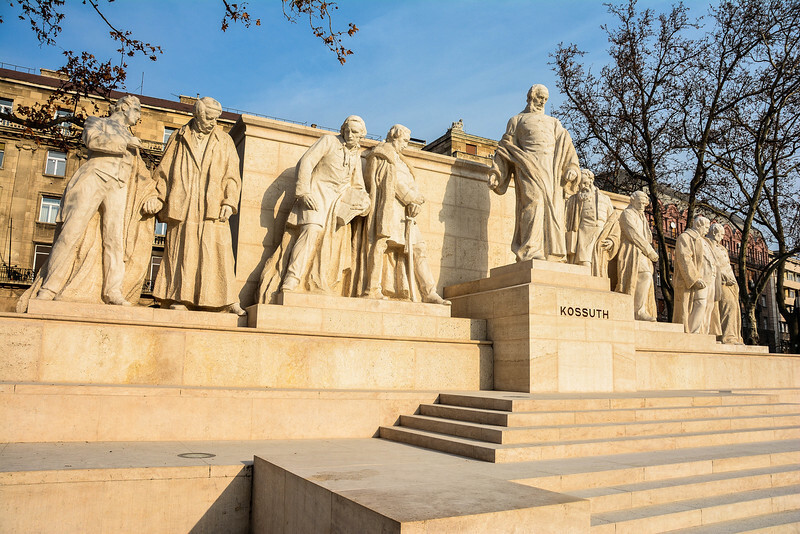 Exploring this part of Budapest is more than just about the Hungarian Parliament as there is a lot of history and other landmarks worth experiencing. At first glance, you may think this parliament building is much older than it really is, especially with the medieval style appearance. The statue of Lajos Kossuth stands at the north point of the square which was named after the former Hungarian leader of the War of Independence in the 19th century. 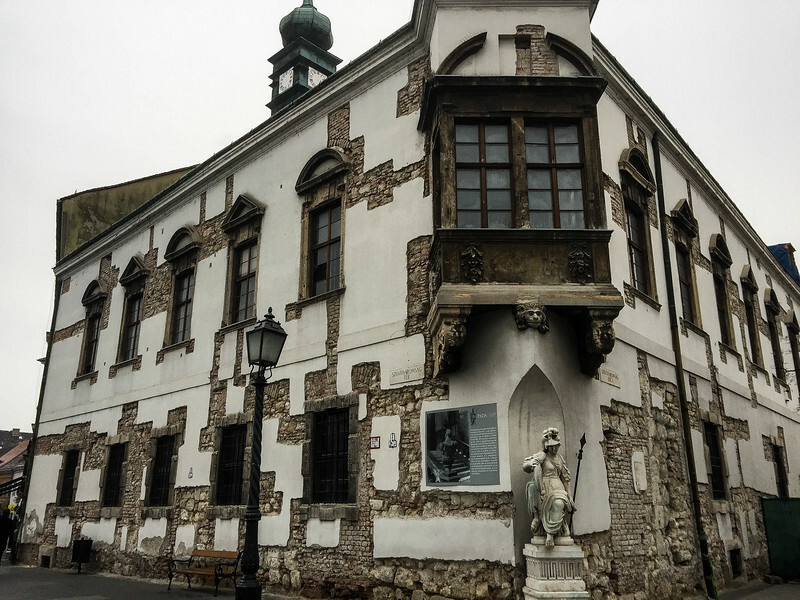 The Museum of Ethnography is across the road from Kossuth Square and is another attractive building worth exploring. Our final stop saw us climb back on the metro and head to higher ground to check out the views across Budapest. 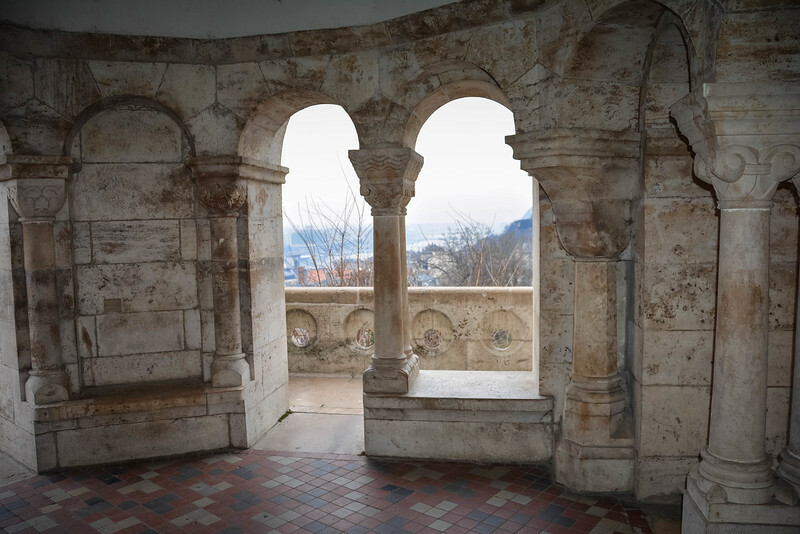 Did you know that the panoramic views across the city and Danube are actually a UNESCO World Heritage Site? 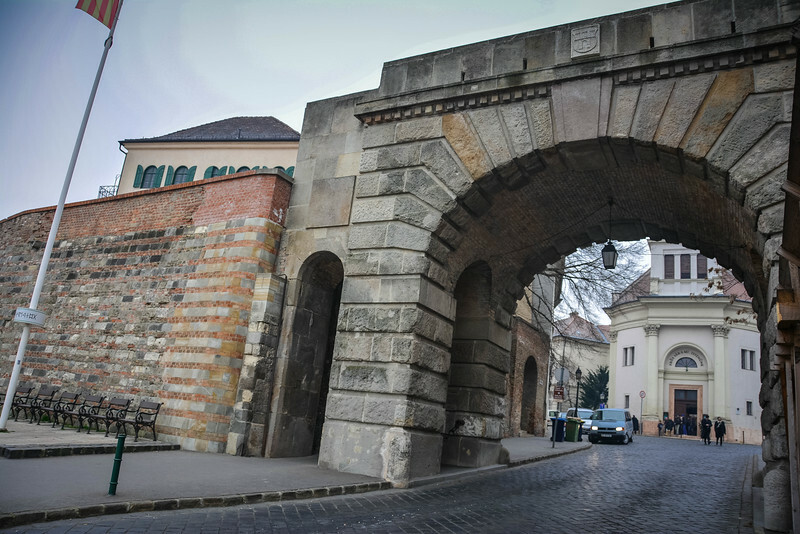 The Buda Castle district is an ancient part of the city and is home to some of the most historic monuments throughout Budapest. 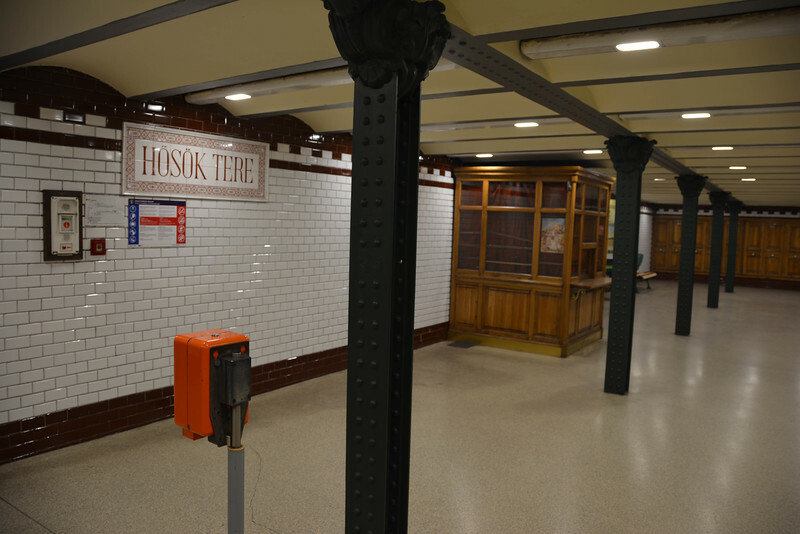 It is about a 10-15 minute walk up a pretty steep incline from the nearest metro station which is Széll Kálmán tér. 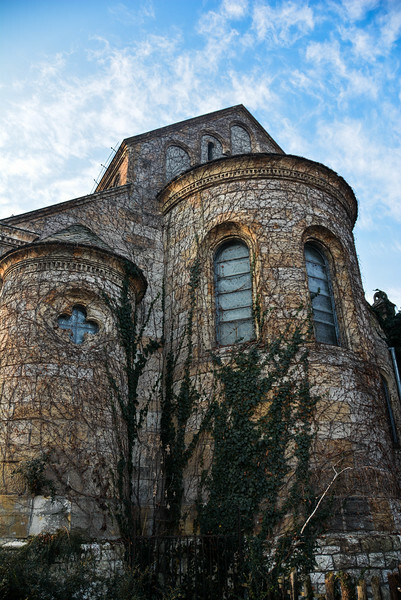 The Castle District offers much more than just the castle that stands proudly overlooking the beautiful city. As we walked through the entrance to the ‘Old Town’, we immediately noticed how the architecture differed from everything we had seen previously across the river. Rich, colorful and even medieval looking buildings are the norm in this part of the city, with cobblestone streets making this a quaint stroll through a quiet neighborhood. The sound of the church bells ringing and low-key chatter among the locals either enjoying lunch at one of the quirky looking restaurants or going about their daily lives is the immediate experience we encountered. The Gothic tower of the Mathias Church along with the Fishermen’s Bastion in the background is one of the most frequently photographed sites in Hungary. Hungary was the furthest Eastern European country that we visited on this trip, and the first time that we set foot in this nation. What an amazing experience we had walking around this beautiful city and learning about the Hungarian culture in and around Budapest. Budapest in one day is ambitious but unbelievably rewarding. 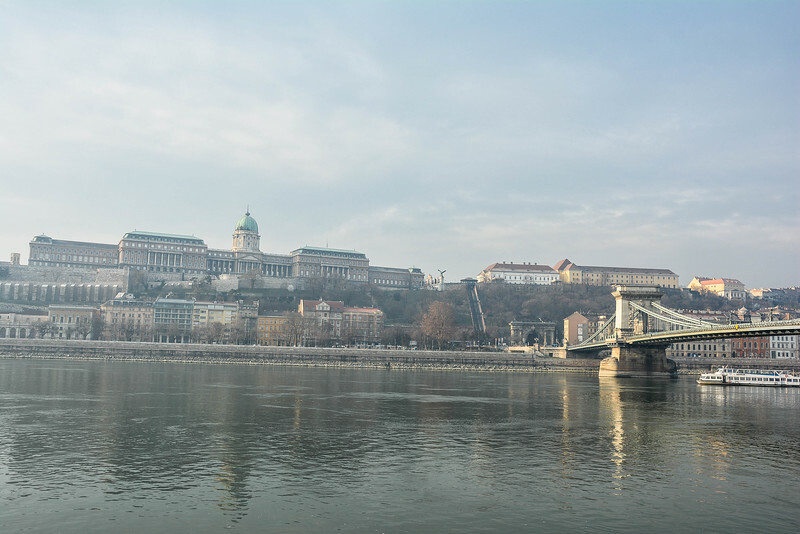 The iconic landmarks that we have outlined here are just a glimpse of what can be experienced in Budapest, so we strongly recommend spending some time here if you are planning a visit to Eastern Europe. Previous articleAmsterdam Walking Tour – Why It’s Epic and Controversial? Next article24 Hours in Vienna – What to See in the Austrian Capital? Loved all of these places in Budapest. I hope to go back sometimes soon. 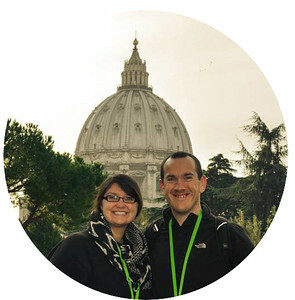 Great post, we are heading to Budapest in June. Thanks for the info! We are only giving two days then jumping on the train. So it’s nice to see we could do it in one day. Thanks for the kind remarks David. You will have a great time in Budapest and having two days there will ensure that you can take your time and fully experience everything this historic city has to offer. 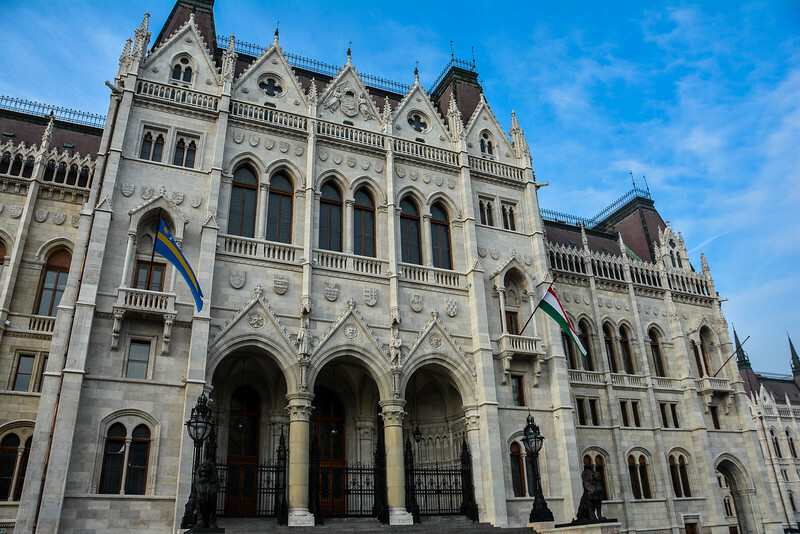 There are a couple of other things we would have liked to experience if we had time, such as the Széchenyi Thermal Bath so there is plenty to keep you occupied there. We just loved walking around and exploring though! Let us know if you need any other hints and tips about Budapest or other cities you are visiting around Europe. Insightful article indeed. I’m coming to Budapest on business soon and will have only one a couple of days to explore the city. My question would be, what is the best way to get into the city from the airport? My colleague suggested budtransfer, but I’d love to know your opinion as well! Thank you in advance. Thanks for pointing me to your page. Some I credible photos, specifically the Basilica and the guard introit of the train. And you have to get your ticket validated?! That seems so old school! Can’t wait to head off. Also awkwardly our taglines are the same! Haha! I might print this out and take it with me as a guide! Very useful. If you were out and about last New Year, well done, it was minus 18C here in Romania, one of the coldest parts of last winter. We’re just a few hours away. I haven’t been into Budapest yet, just driven past, it’s something we should do soon. Thanks for your kind comments Alyson, we hope that you will find this useful! 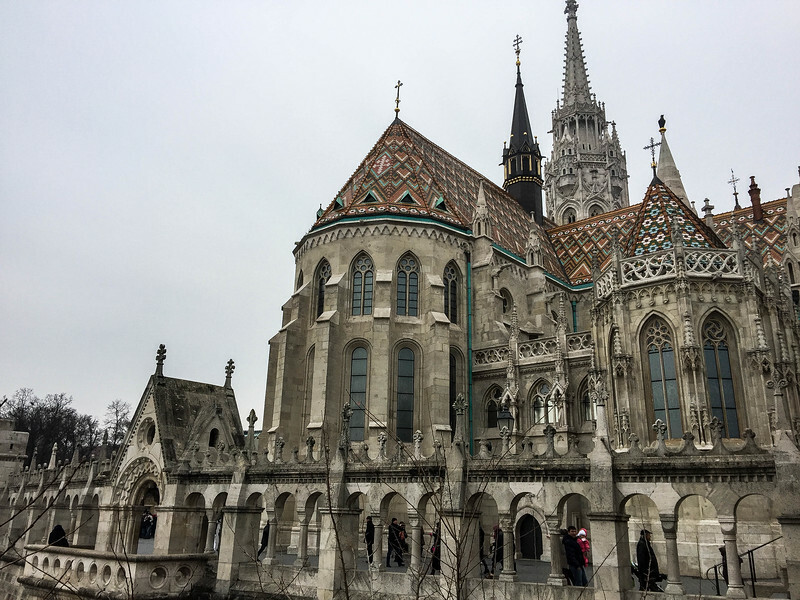 This is by no means an exhaustive list of things to do in Budapest but it certainly was a nice introduction to the Hungarian capital and one that I can highly recommend anyone following, especially if you have a limited amount of time there. Yeah, it was pretty chilly but it was a gorgeous day for the most part and we weren’t going to let a little cold weather stop us from getting out and exploring teh beautiful city!